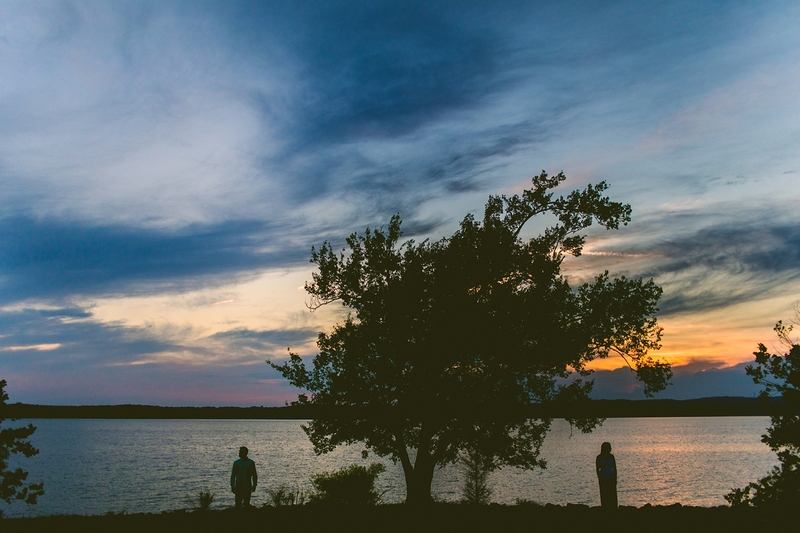 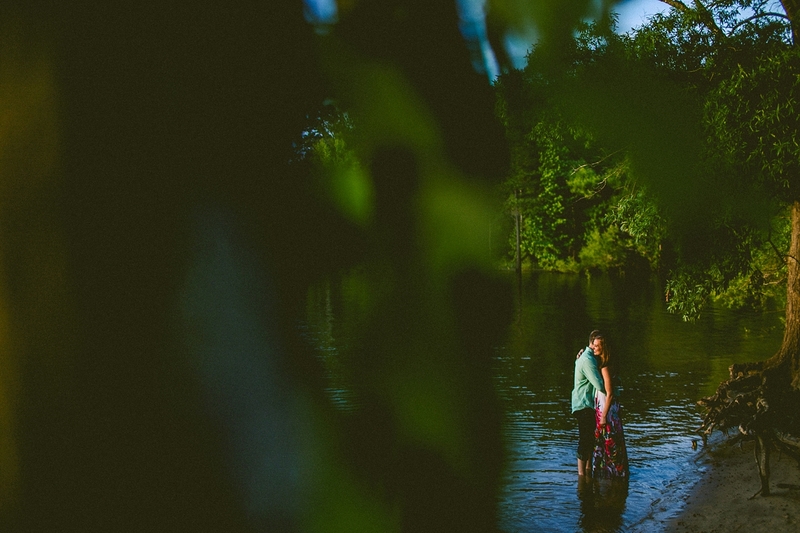 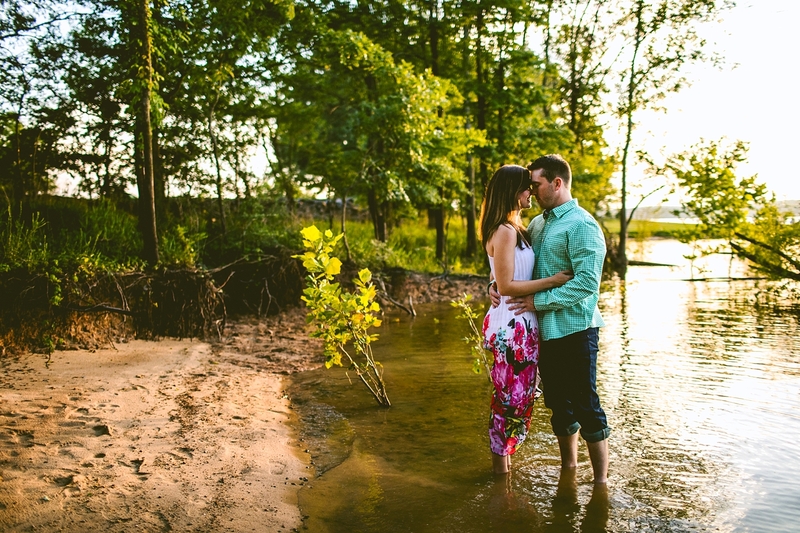 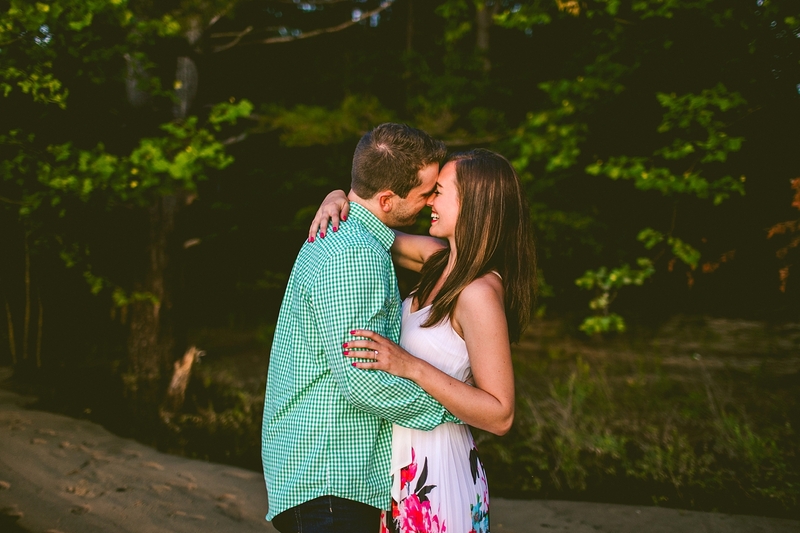 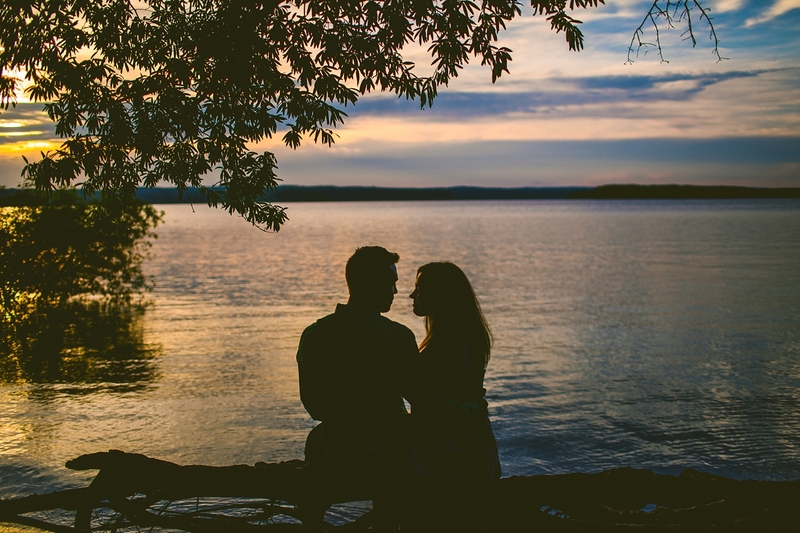 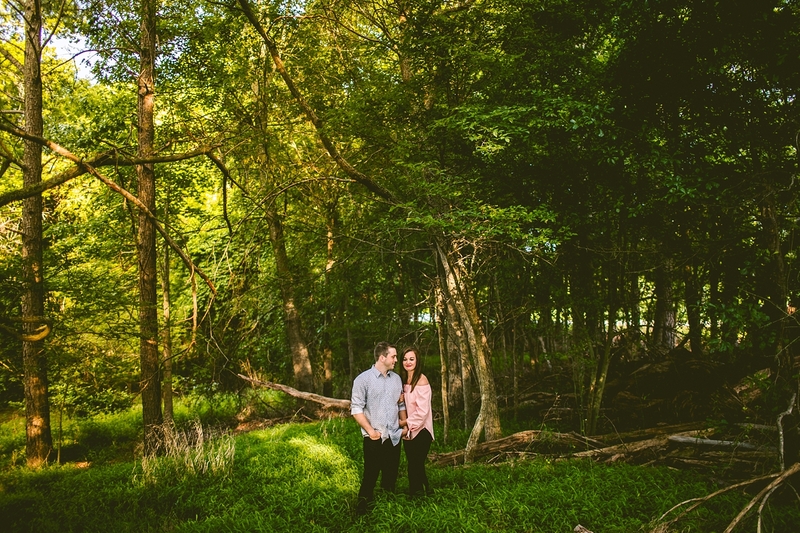 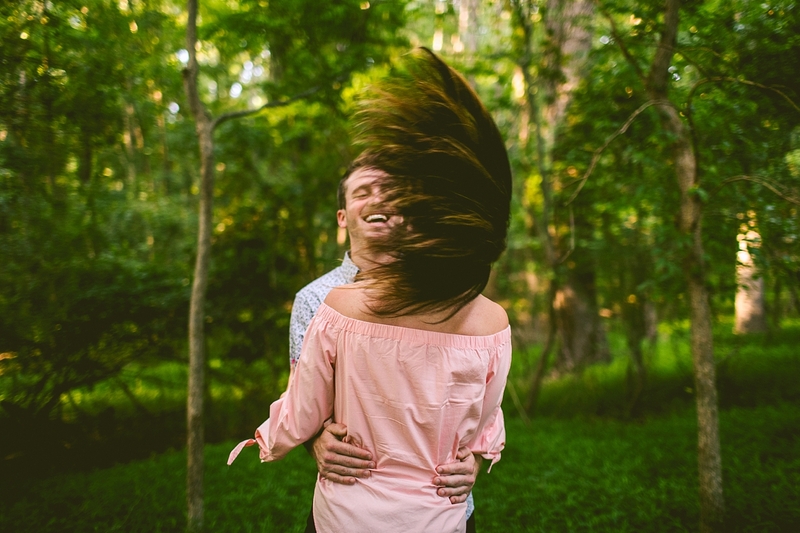 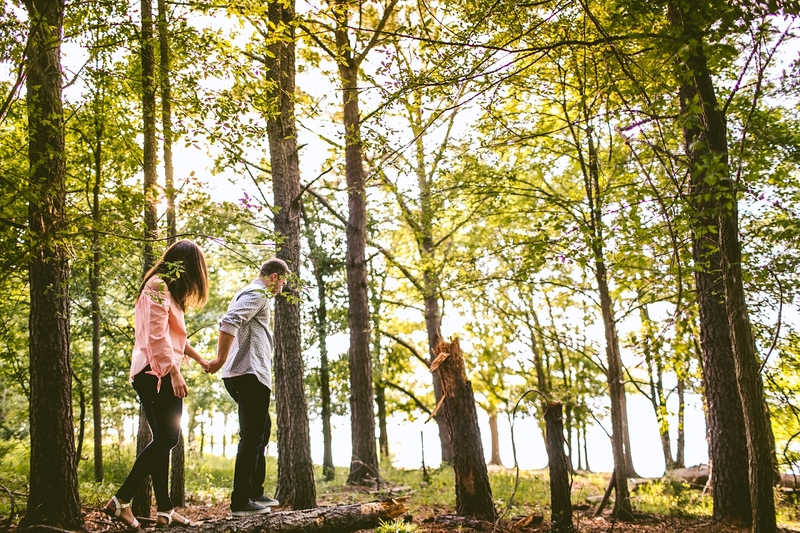 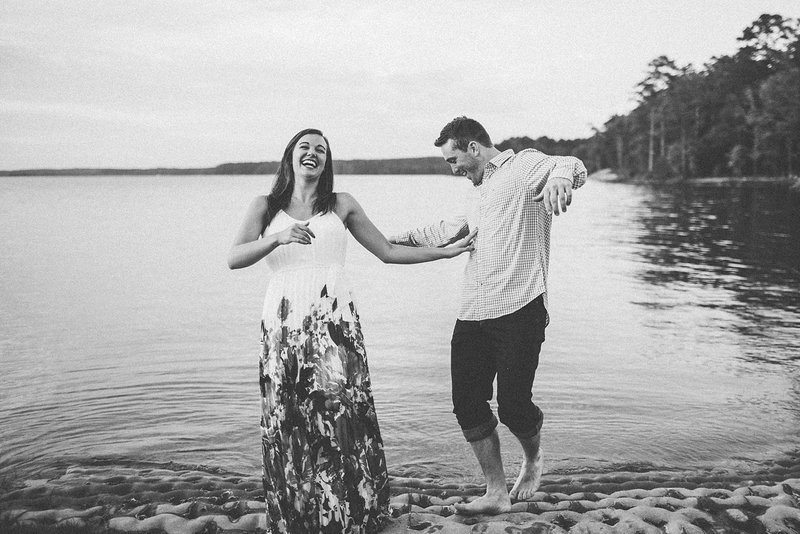 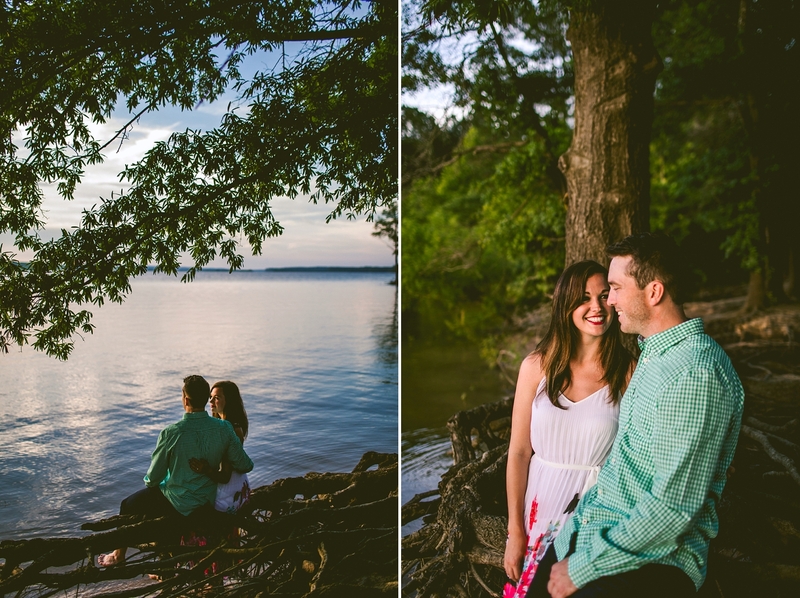 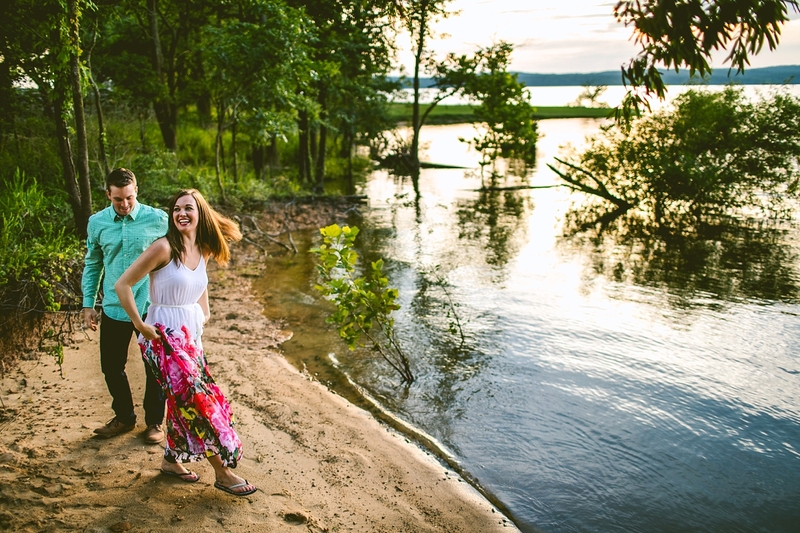 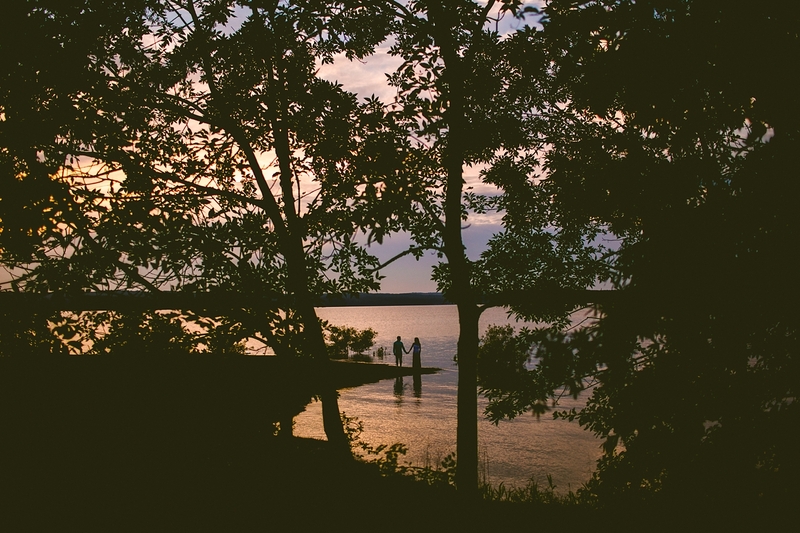 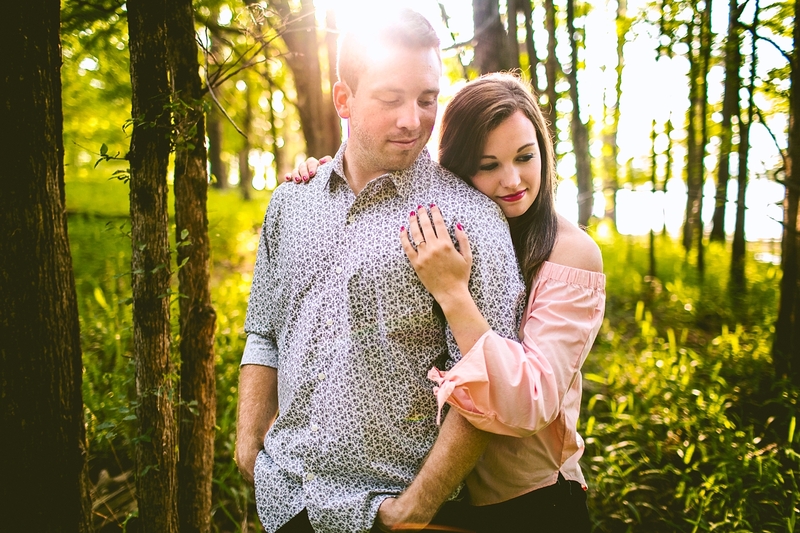 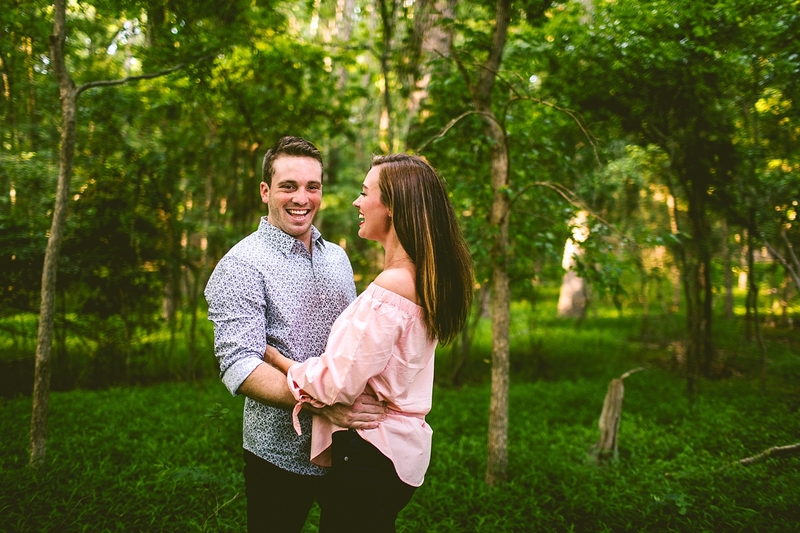 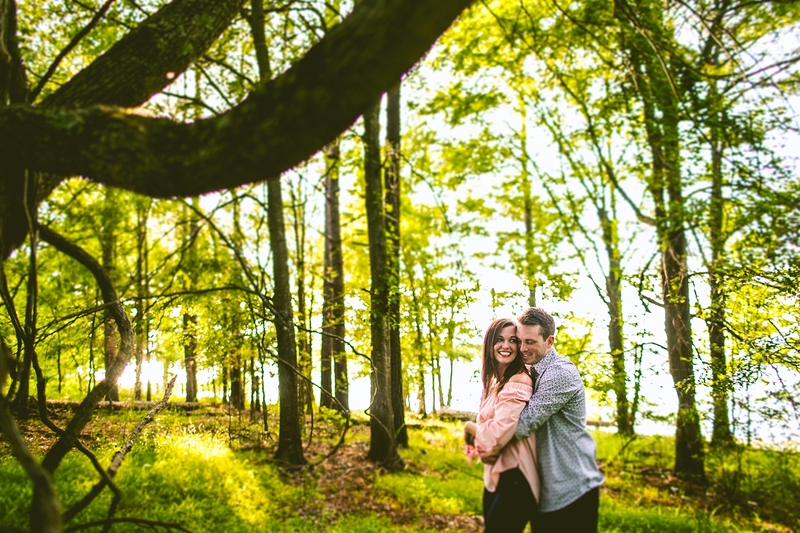 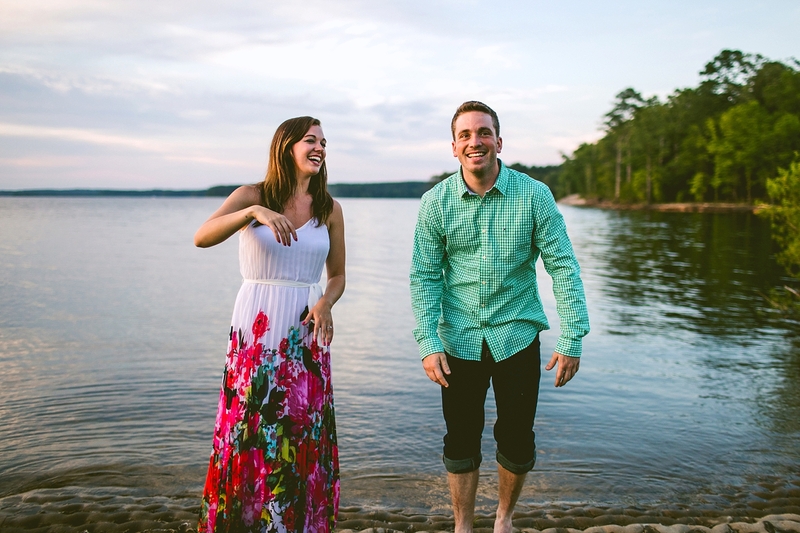 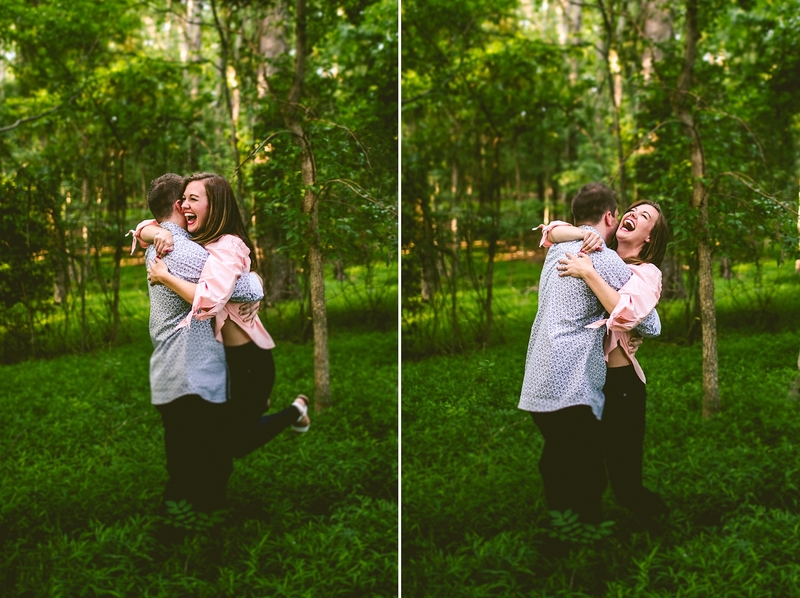 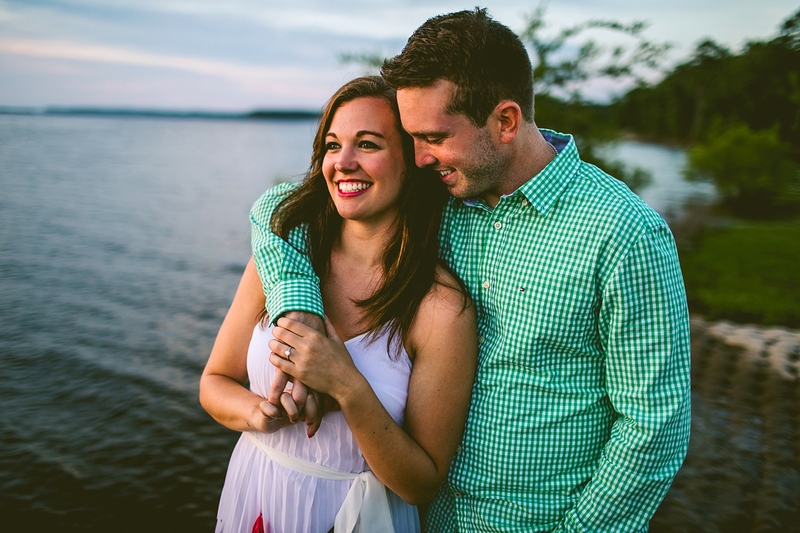 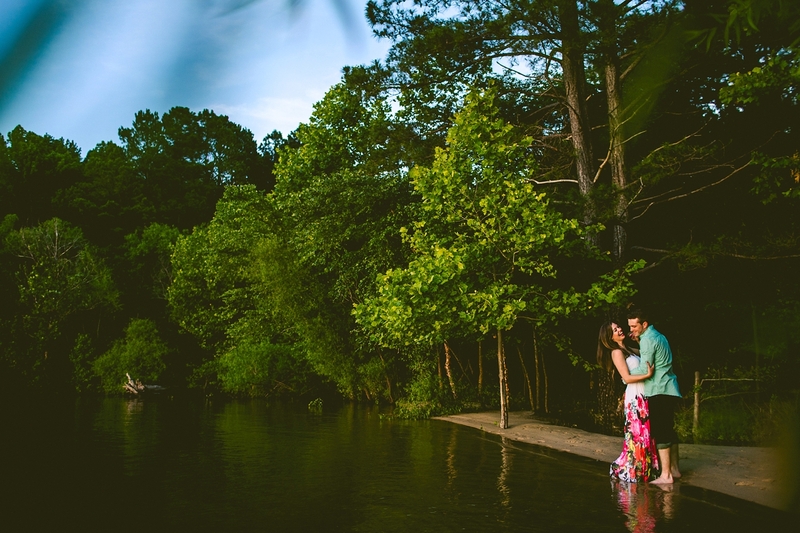 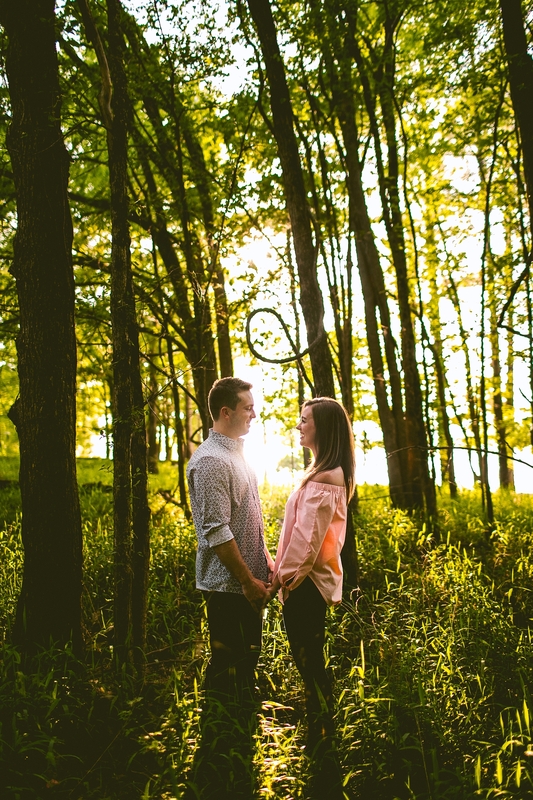 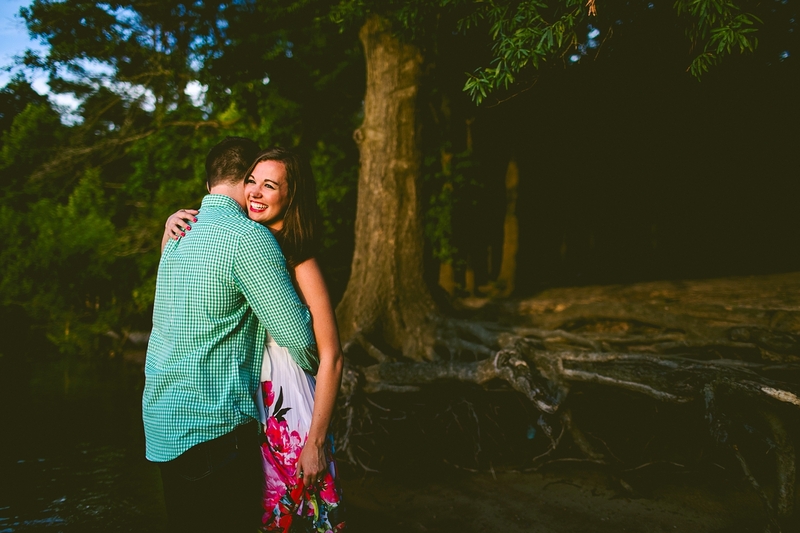 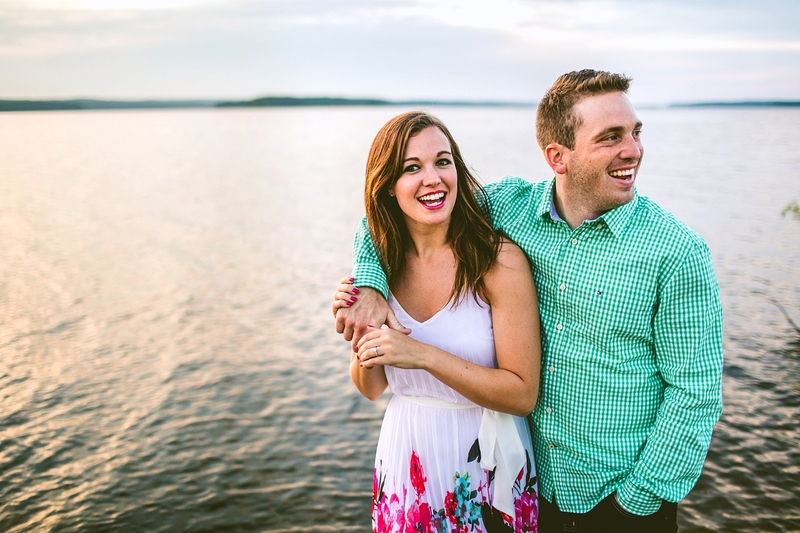 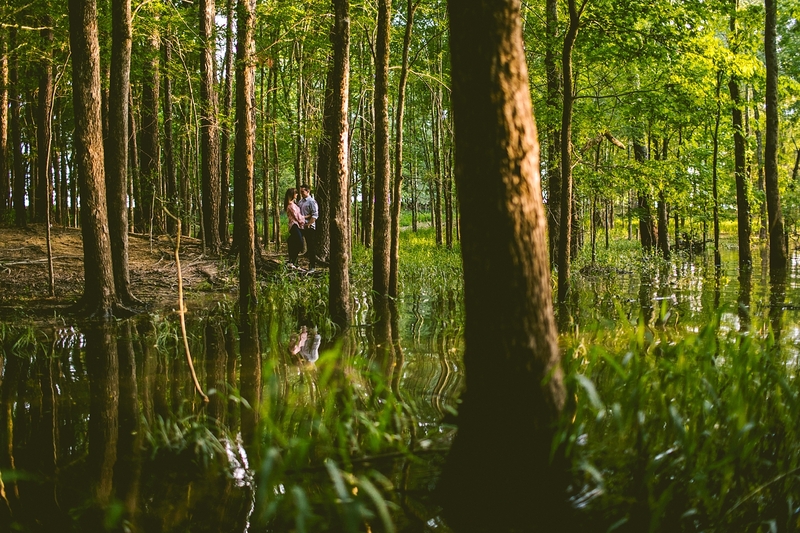 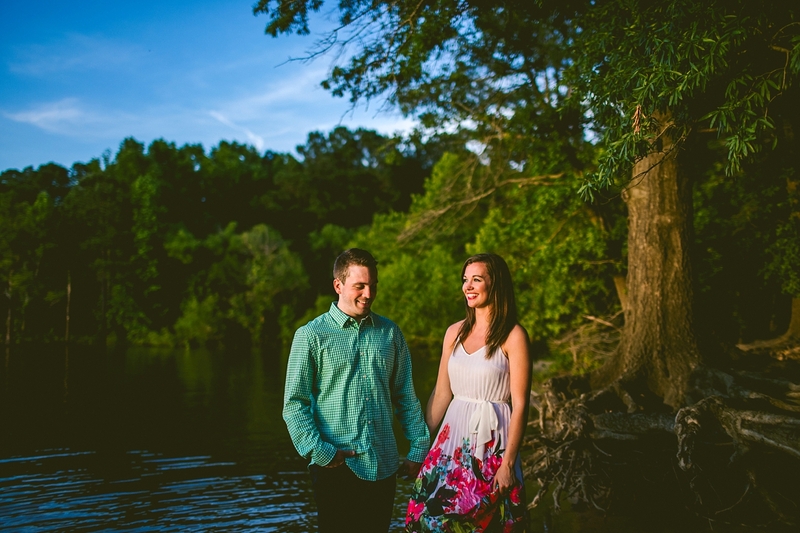 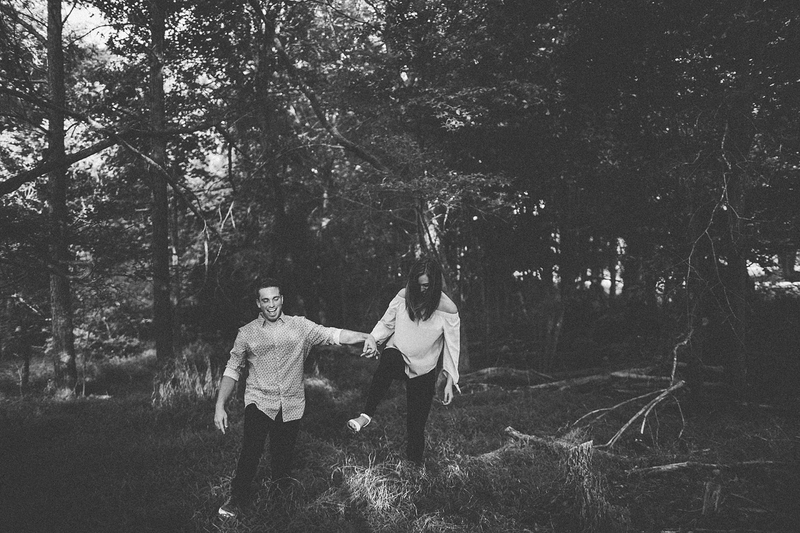 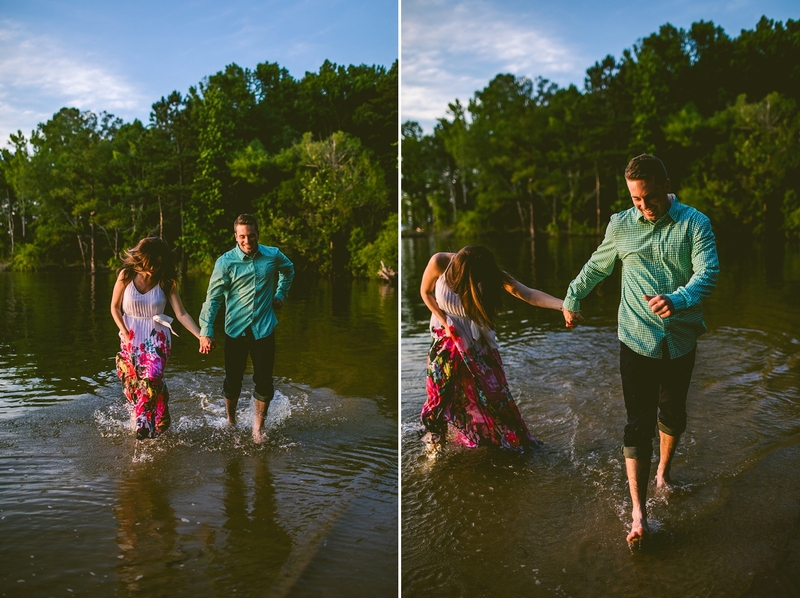 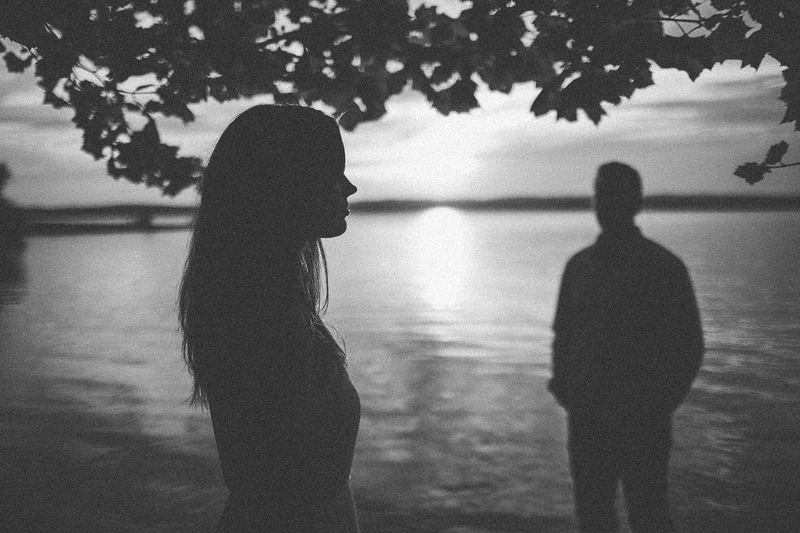 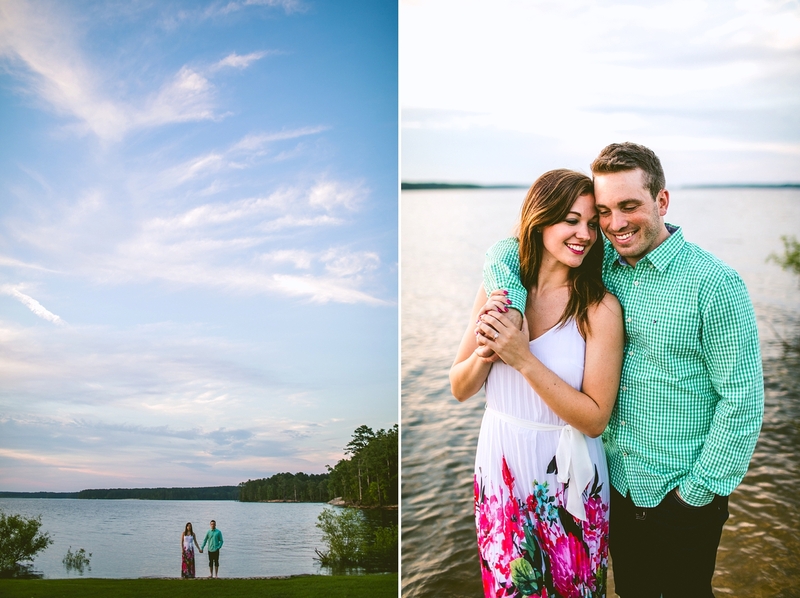 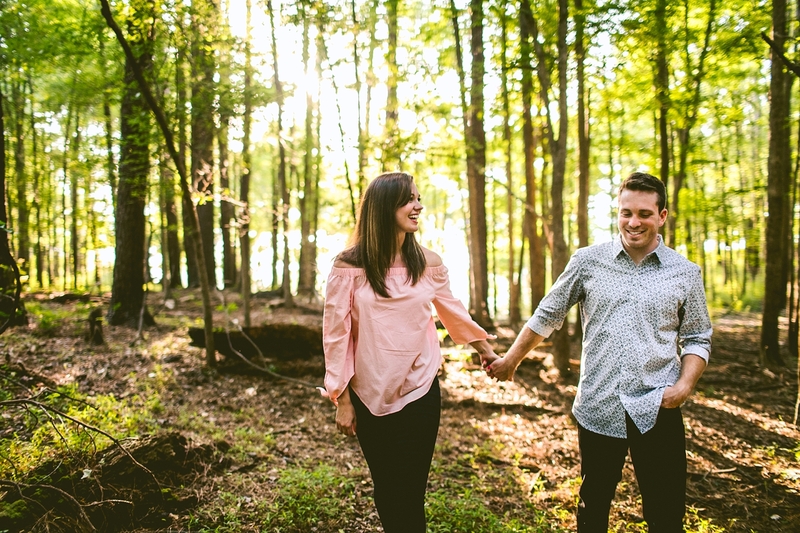 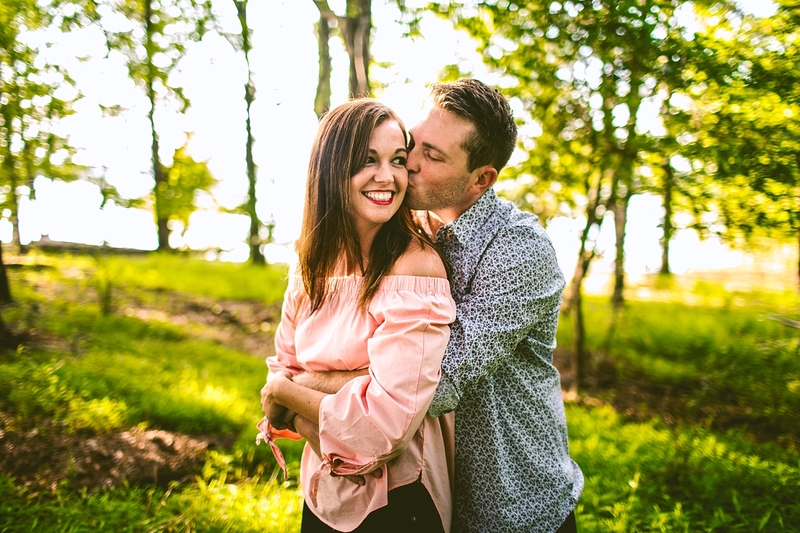 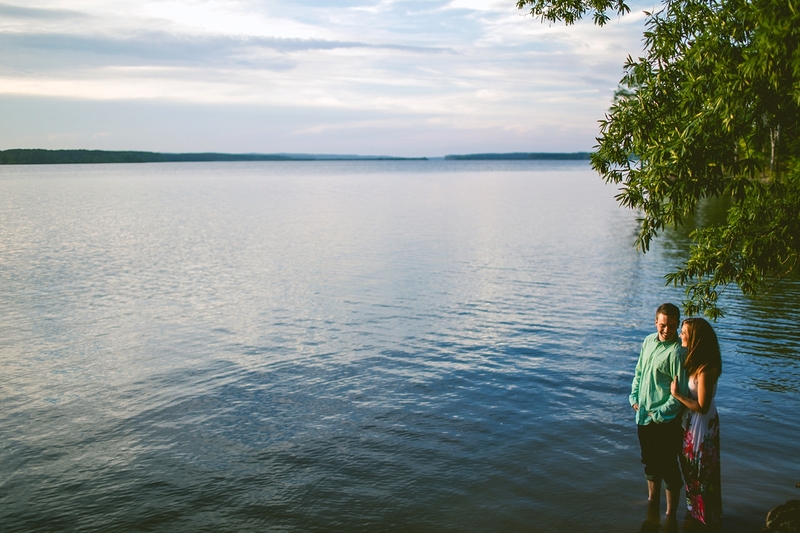 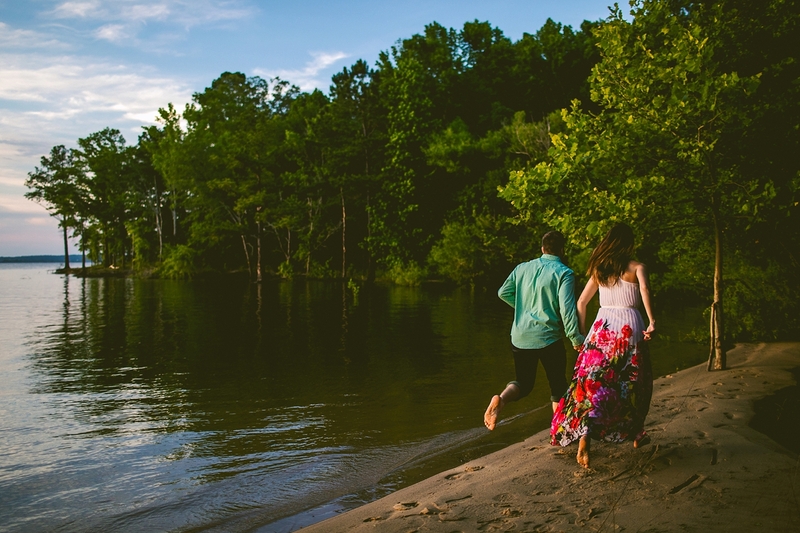 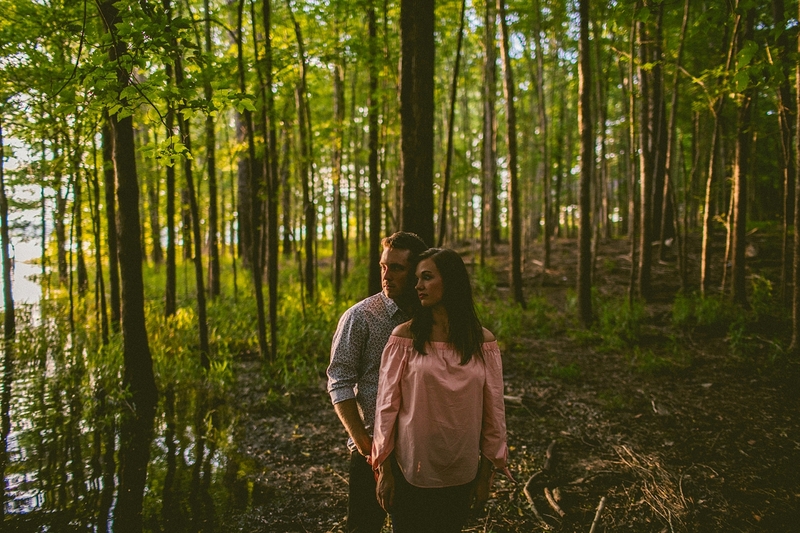 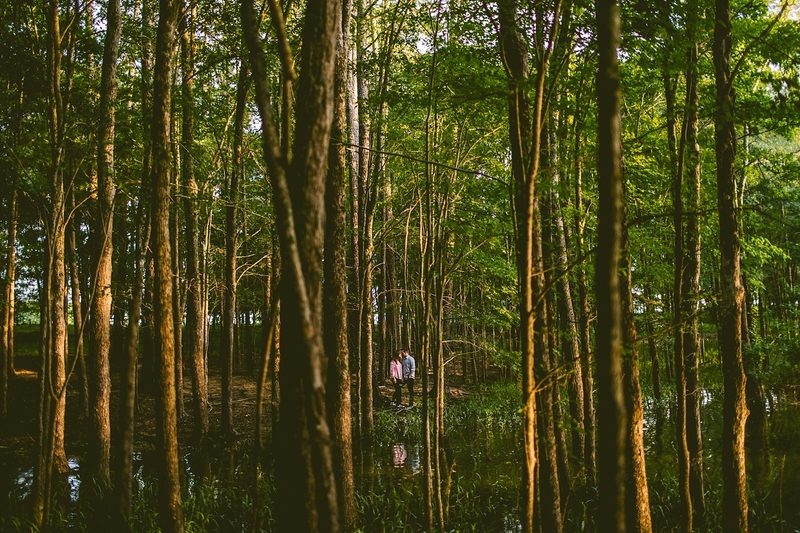 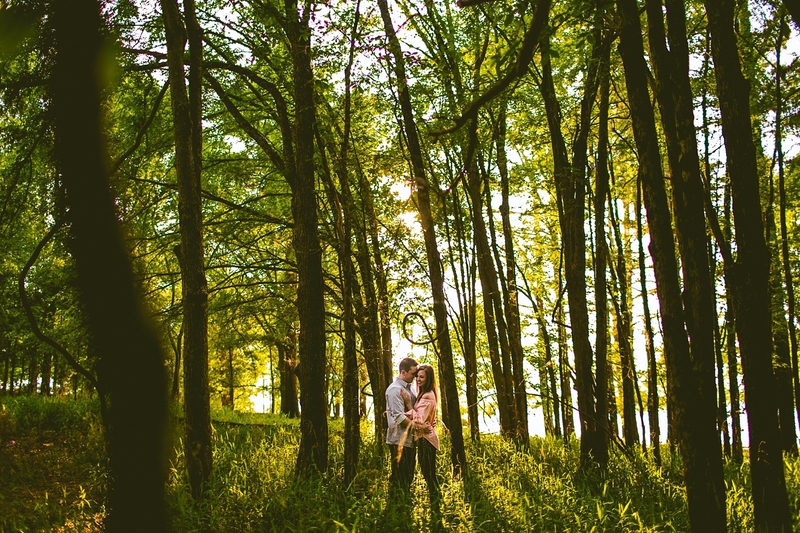 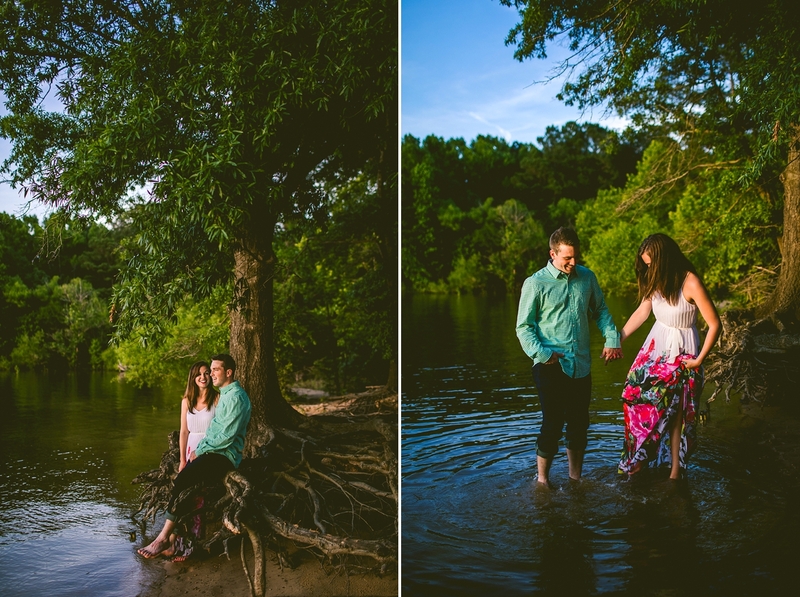 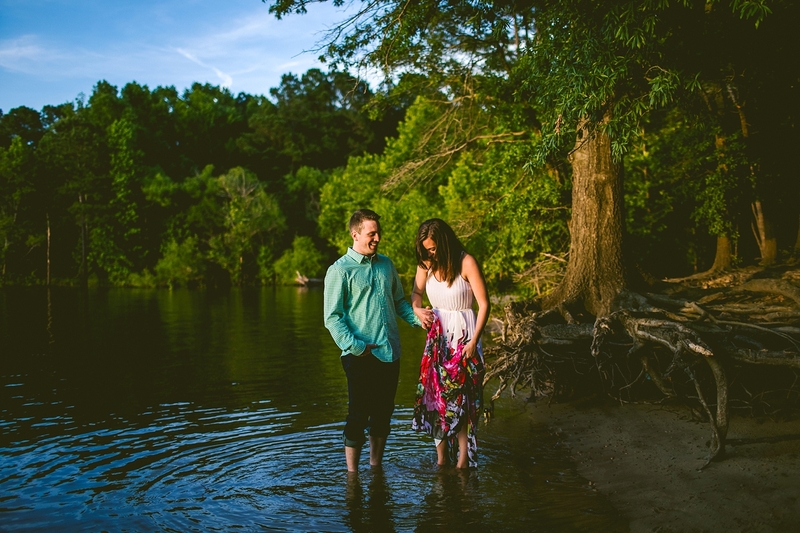 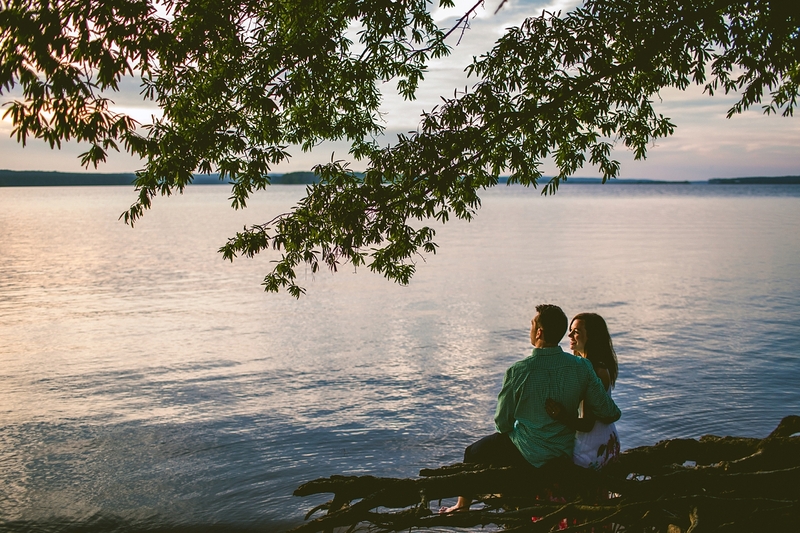 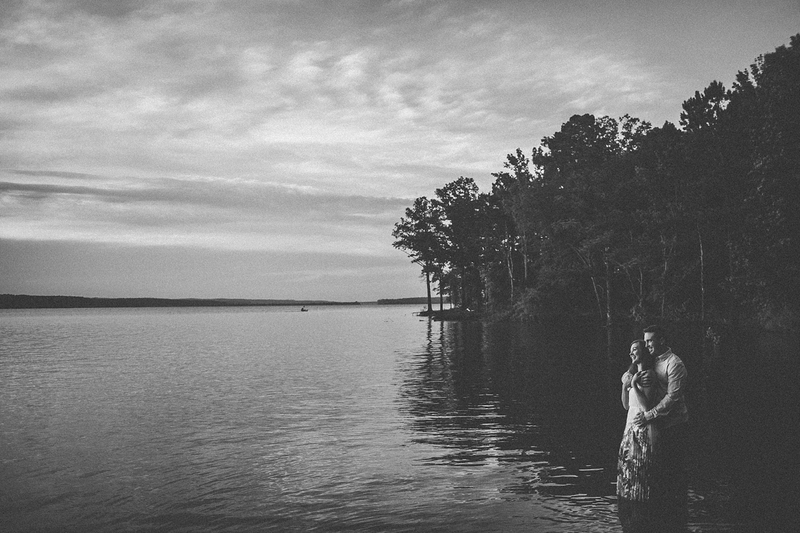 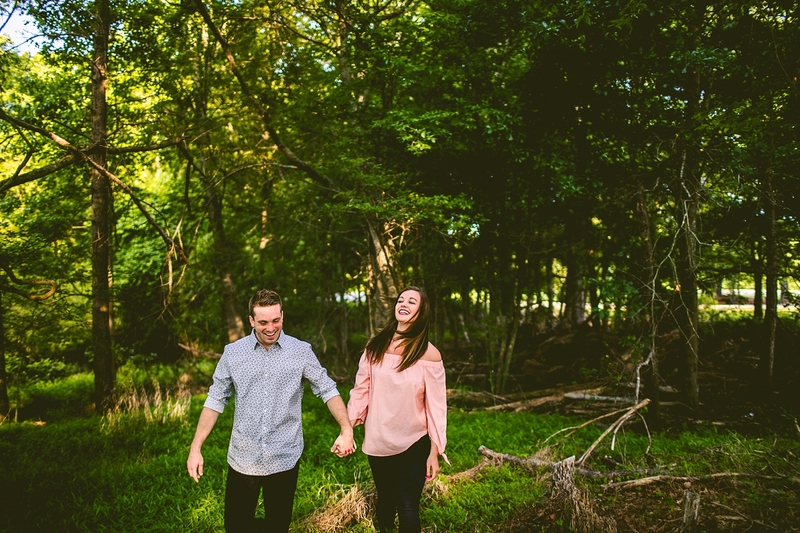 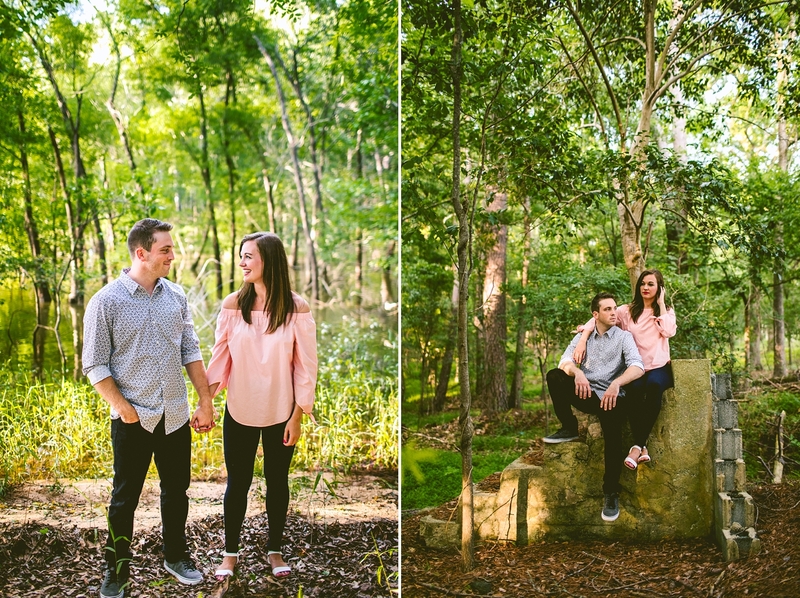 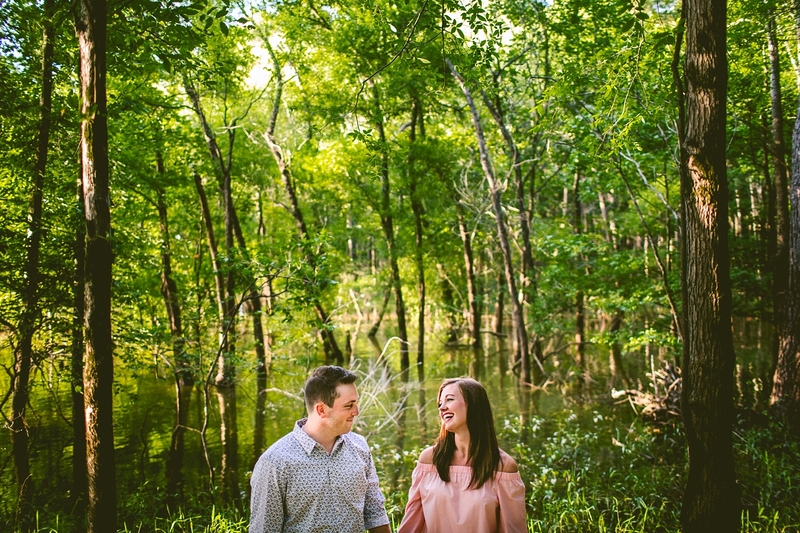 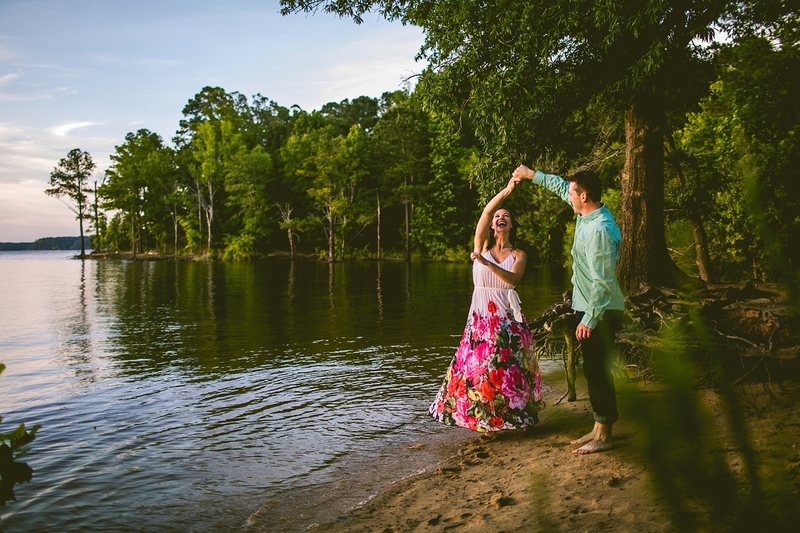 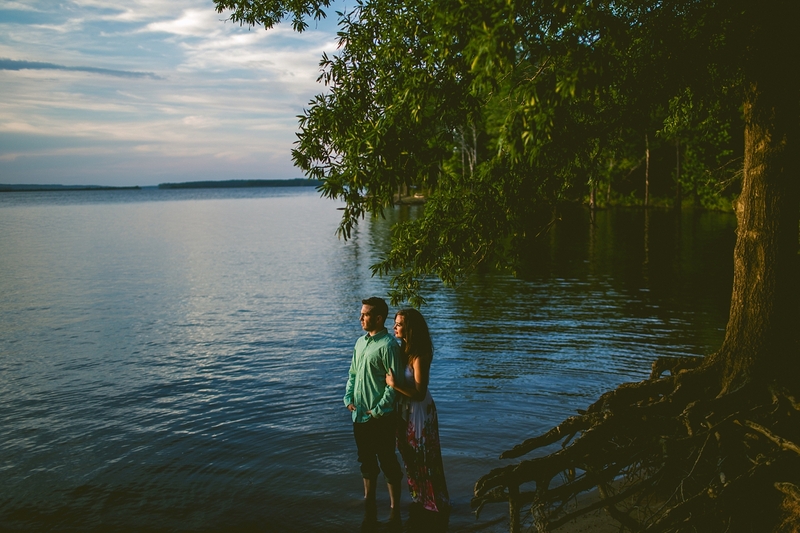 Kristina and Chris found us online, scooped us up, and away we went to Jordan Lake for their engagement session where they ran around in the woods and in the water and didn’t complain about the mosquitos that were eating us all alive. 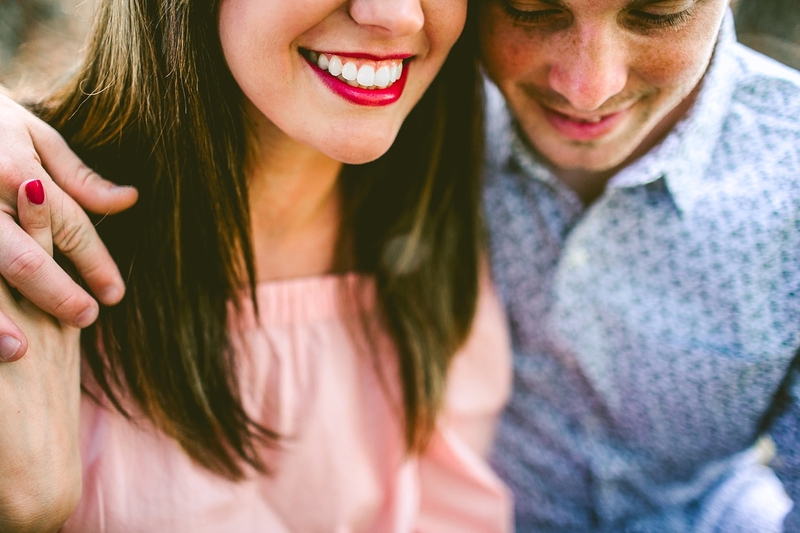 Probably because they are adorable together and very clearly adore each other and it is the most wonderful thing in the world to hear them talk about their relationship despite me not being a particularly gooey-love-story sort of person. 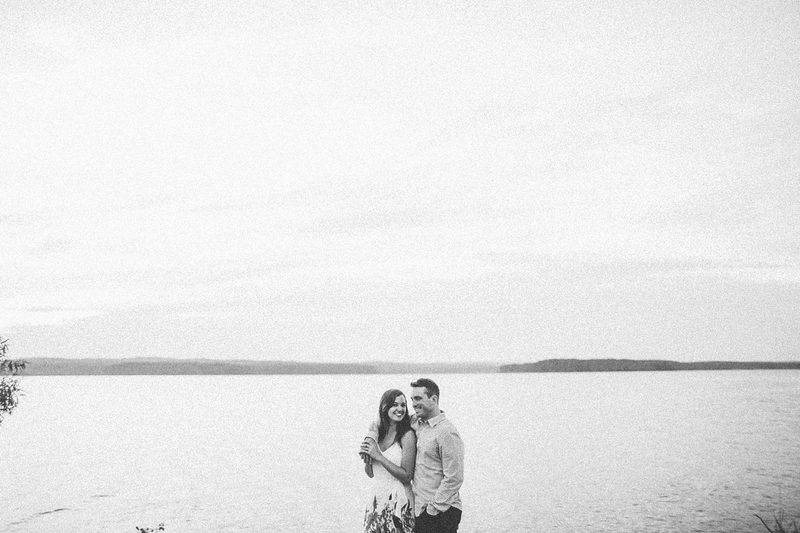 The way they tell it, they’ve been best friends since they were eleven, living in upstate New York. 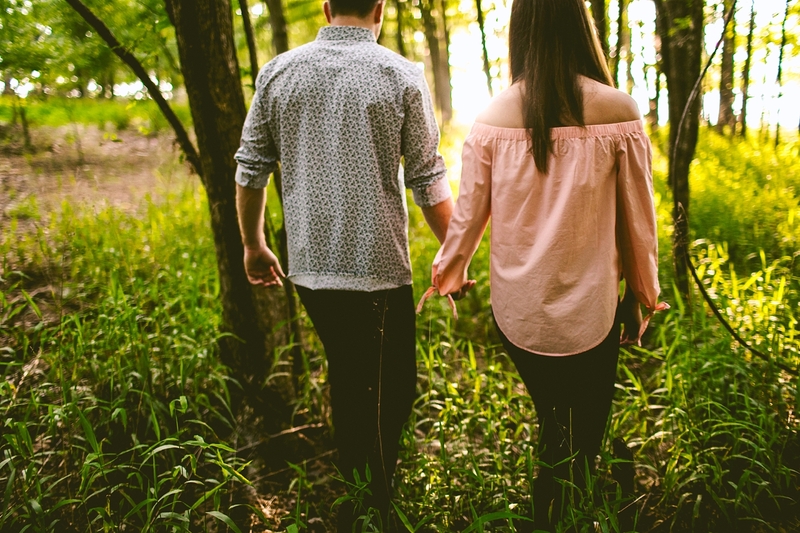 And they always liked each other, but they were still always in the friend zone, and always dating other people. 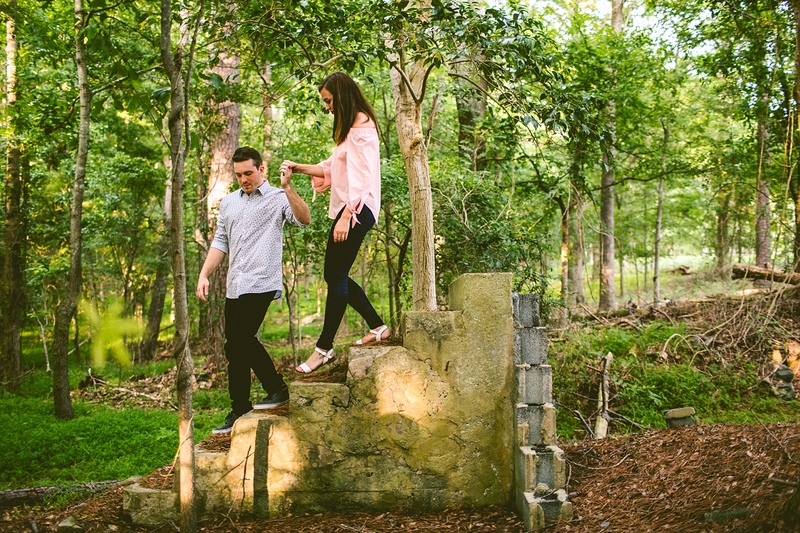 But still secretly liking each other. 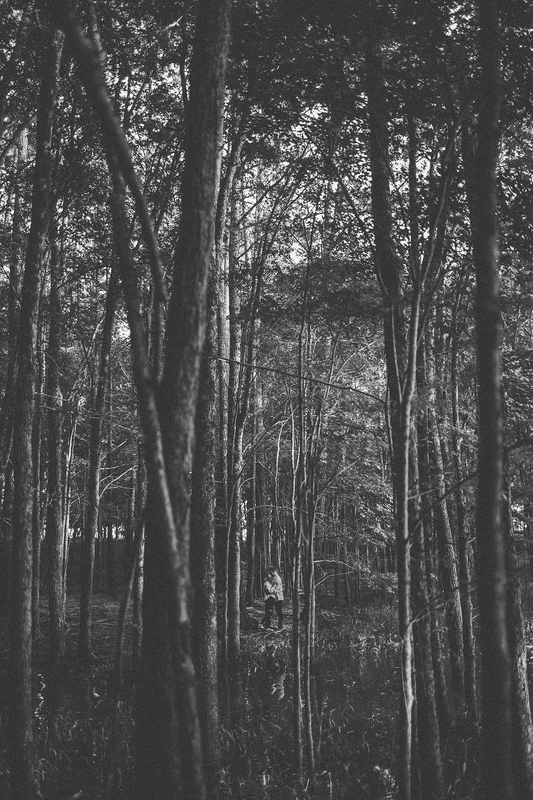 But still not doing anything about it. 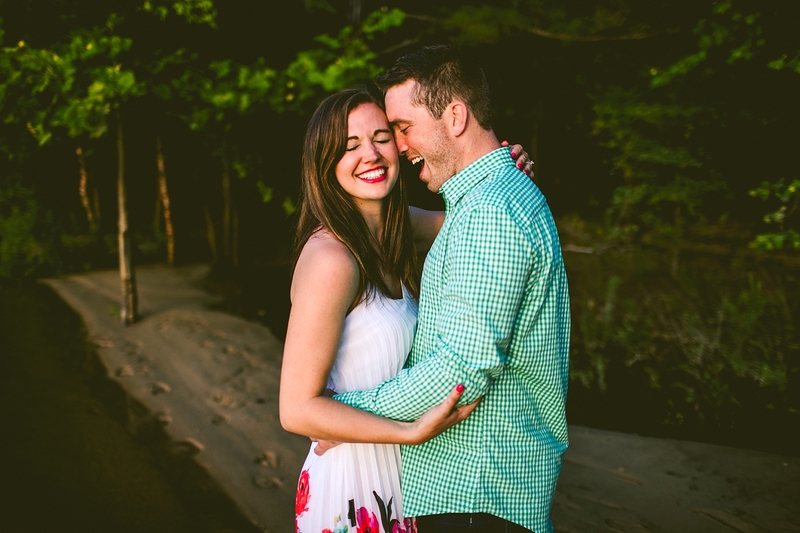 Kristina went to college in South Dakota, and Chris went to college in New York City but ::insert dramatic romantic movie music here:: they never forgot about each other, reconnected after college, and the rest is adorable history. 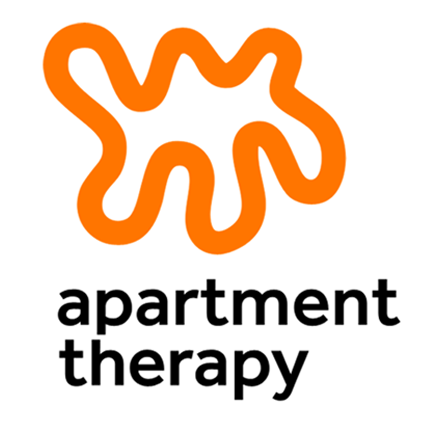 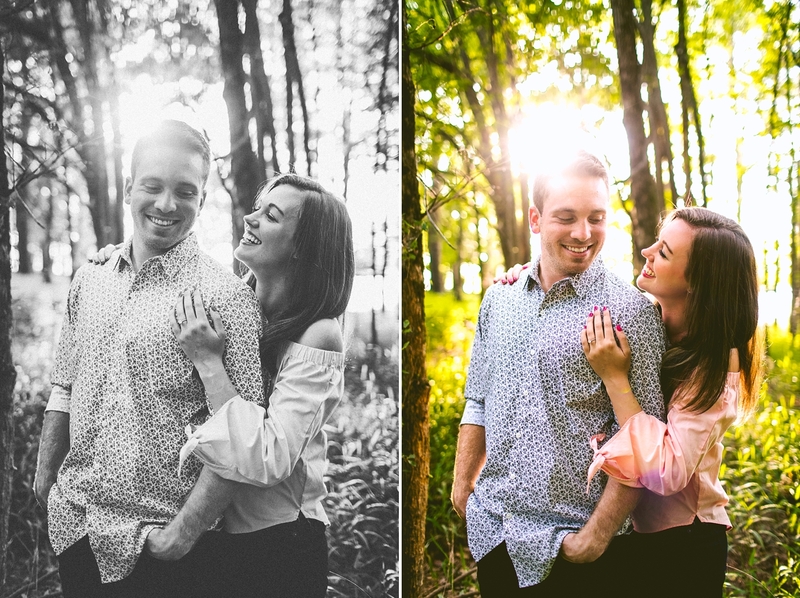 They are both super outgoing, friendly, cooperative, hilarious people who were the best subjects! 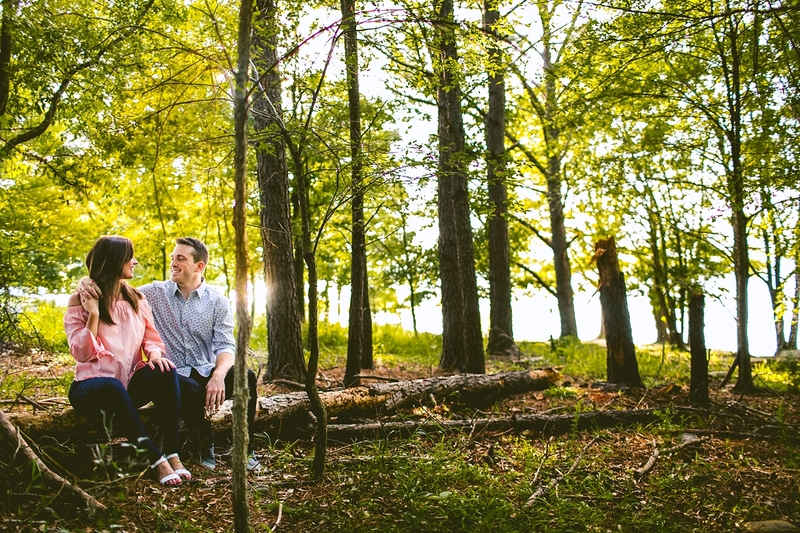 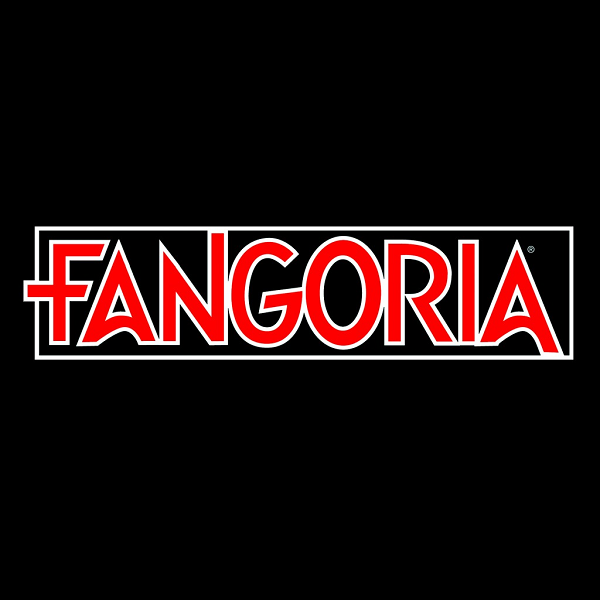 We had a great time working with them and dodging the incredibly huge turkey vultures that were definitely stalking us in the woods.